The Barracuda Web Application Firewall blocks an ever-expanding list of sophisticated web-based intrusions and attacks that target the applications hosted on your web servers-and the sensitive or confidential data to which they have access. Barracuda Web Application Firewall Vx is a virtual appliance providing complete and powerful security for Web applications and Web sites. It offers every capability needed to deliver, secure and manage enterprise Web applications from a single appliance through an intuitive, real-time user interface. The Barracuda Web Application Firewall provides superior protection against data loss, DDoS, and all known application-layer attack modalities. Automatic updates provide defense against new threats as they appear. As new types of threats emerge, it will acquire new capabilities to block them. The Barracuda Web Application Firewall has strong authentication and access control capabilities that ensure security and privacy by restricting access to sensitive applications or data to authorized users. Pre-built security templates and intuitive web interface provide immediate security without the need for time-consuming tuning or application learning. Integration with security vulnerability scanners and SIEM tools automates the assessment, monitoring, and mitigation process. The Barracuda Web Application Firewall provides comprehensive, reverse-proxy-based protection for applications deployed in physical, virtual, or public cloud environments data centers. In addition to applications hosted on-premises, Barracuda Web Application Firewall can natively scale and migrate with applications deployed in public cloud platforms like Amazon Web Services (AWS) and Microsoft Azure. Available with flexible pricing options including bring-your-own-license and pay-as-you-go via AWS Marketplace and Azure Marketplace, the Barracuda Web Application Firewall is built to can help you seamlessly transition from on-premises to cloud infrastructures while maintaining the same familiar experience. The Barracuda Web Application Firewall Vx provides superior protection against data loss, application-layer DDoS, and known and previously unknown zero day application-layer attack modalities. As new types of threats emerge, the Barracuda Web Application Firewall Vx will acquire new capabilities to block them. These definitions are automatically updated and will “virtually patch” automatically on units in the field, ensuring the highest security posture for critical applications at all times. This greatly reduces the time between vulnerability disclosure and vulnerability patching. Scan your web applications for vulnerabilities. Instantly remediate all vulnerabilities at the click of a button. 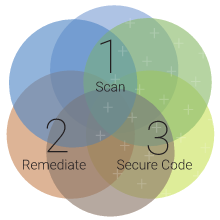 Automatically secure code in development with scheduled and on-demand scans. Barracuda Vulnerability Remediation Service generates a report that can be used to automatically configure the Barracuda Web Application Firewall Vx. You can then automate vulnerability scanning to maintain your security posture as your web presence evolves. The Barracuda Web Application Firewall Vx has strong authentication and access control capabilities that ensure security and privacy by restricting access to sensitive applications or data to authorized users. Integrated identity access and management pre-authenticates on the perimeter before access is allowed to critical web applications. User access control can be offloaded from multiple applications on a single consolidated device. Detailed audit logging provides clear visibility into user activity across all protected applications. Barracuda Web Application Firewall Vx is designed to be easy and fast to deploy, configure, and manage. Integrations with best-of-breed security tools ensure easy deployments into existing environments while providing granular logging, alerting, and reporting for management, compliance, or early warning detection. It can be deployed in High Availability clusters to ensure maximum application uptime thanks to redundancy and seamless failover capabilities. The Barracuda Web Application Firewall Vx can also be deployed in high availability clusters to provide redundancy and seamless failover capabilities in response to outages. It can also monitor application server status and intelligently distribute traffic to ensure high application performance and maximum uptime. Web application development is a dynamic process, and with features to implement and timelines to meet, security vulnerabilities will inevitably occur. 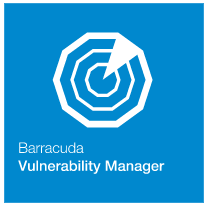 The Barracuda Vulnerability Manager is a non-invasive, web-based scanning tool that quickly discovers application security flaws such as those on the OWASP Top 10, including SQL injection, cross-site scripting, and others. It is provided at no charge by Barracuda. The detailed output of the scan lists all vulnerabilities discovered, ranks them from most to least critical, and provides additional insights to help you address them. Why Barracuda Web Application Firewall Vx? When selecting security technology, it is critical that your products are supported by people who take your data security as seriously as you do. 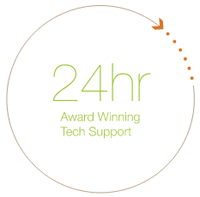 The Barracuda Web Application Firewall Vx is supported by our award-winning 24x7 technical support staffed by in-house security engineers with no phone trees. Help is always a phone call away. Hundreds of thousands of organizations around the globe rely on Barracuda to protect their applications, networks, and data. The Barracuda Web Application Firewall Vx is part of a comprehensive line of data protection, network firewall, and security products and services designed for organizations seeking robust yet affordable protection from ever-increasing cyber threats. The Barracuda Web Application Firewall provides robust security against targeted and automated attacks. OWASP Top 10 attacks like SQL Injections and Cross-Site Scripting (XSS) are automatically identified and logged. Administrators have the ability to set granular controls on response, allowing them to block, throttle, redirect, or perform a number of other actions. Advanced DDoS protection capabilities allow administrators to distinguish real users from botnets through the use of heuristic fingerprinting and IP reputation, thereby allowing them to block, throttle, or challenge suspicious traffic. It is the only product in the industry to offer integrated IP reputation intelligence that combines real-time situational insights and historical intelligence to secure against application DDoS using a variety of risk assessment techniques such as application-centric thresholds, protocol checks, session integrity, active and passive client challenges, historical client reputation blacklists, geo-location, and anomalous idle-time detection. Adaptive profiling enables administrators to build positive security profiles of their applications by sampling web traffic from trusted hosts. Once enabled, the positive security profiles allow administrators to enforce granular whitelist rules on sensitive parts of the application. This greatly reduces the risk of attacks and helps prevent zero-day vulnerabilities by restricting input only to inputs that meet strict standards. Often the first step of any targeted attack is to probe public-facing applications to find out details about the underlying servers, databases, and operating systems. Cloaking prevents attack reconnaissance of protected applications by suppressing server banners, error messages, HTTP headers, return codes, debug information, or backend IP addresses from leaking to a potential attacker. Without any details of the underlying infrastructure, it is much more difficult to target attacks, thereby reducing the risk of breach. Applications that rely on XML can now be secured with an XML Firewall capability that secures applications against schema and WSDL poisoning, highly-nested elements, recursive parsing, and other XML-based attacks. This secures communications between client and application or between applications from different systems closing an often overlooked attack vector. Web Scraping involves copying large amounts of data from a website or application using automated tools. This is often done for commercial advantages that are to the detriment of the organisation that owns the web application. Typically, the motivation of the attacker is to undercut competition, steal leads, hijack marketing campaigns, and appropriate data via the web application. Examples include theft of intellectual property from digital publishers, scraping products and pricing information from e-commerce sites, and stealing listings on real estate, auto dealers and travel sites. The Barracuda Web Application Firewall protects against web scraping by detecting and blocking malicious bots from accessing the website. Advanced detection techniques include the ability to set honeytraps to identify malicious bots and headless browser detection. Site administrators can also set whitelists for allowing specific bots, such as search engine crawlers to access the website. The Barracuda Web Application Firewall validates all bot traffic against known signatures before allowing them access to the website. Deployed as a reverse-proxy, the Barracuda Web Application Firewall inspects all inbound traffic for attacks and outbound traffic for sensitive data. Content such as credit card numbers, U.S. social security numbers, or any other custom patterns can be identified by the Barracuda Web Application Firewall and either blocked or masked without administrator intervention. Best of all, the information is logged and can be used by administrators to find potential leaks. Attacks on a web-based application often start by analyzing and tampering with its URLs. Barracuda Web Application Firewalls, models 660 and above, come with a unique URL Encryption feature that allows administrators to encrypt URLs before they are sent to clients. The original URLs or the directory structure are never exposed externally to prying eyes. Users of the web applications interact and navigate the site using only encrypted URLs, which are decrypted by the WAF on the way back in. The decryption process immediately identifies URL query or parameter tampering, malicious content injection or blind forceful browsing attacks. The Barracuda Web Application Firewall is designed to provide easy, cost-effective assistance to help administrators comply with major application-specific requirements like PCI-DSS, HIPAA, FISMA, and SOX. It is certified by a number of third-party testing labs including ICSA Labs as an effective Web Application Firewall solution. The Barracuda Web Application Firewall directly satisfies section 6.6 of PCI-DSS and assists compliance with built-in PCI compliance reports. 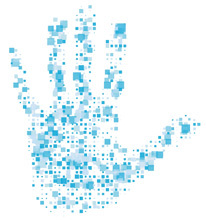 Its robust identity and access management and data loss prevention (DLP) capabilities ensure privacy of sensitive data. A FIPS 140-2 HSM model ensures that applications it protects meet the highest cryptographic standards. Security organizations often use vulnerability scanners to look for exploitable weaknesses in their applications. Barracuda has the ability to integrate with popular scanners like IBM AppScan and Cenzic Hailstorm to automatically configure an application's security template to protect against identified issues. All of this is automatically configured using the output of the scanners without any administrator intervention. Integrations: Barracuda Vulnerability Manager, Cenzic Hailstorm, HPE Security WebInspect , HPE Security Fortify On Demand , IBM AppScan. The Barracuda Web Application Firewall seamlessly integrates with Barracuda Advanced Threat Detection (BATP) to provide security against advanced threats. Simply add BATP to the Barracuda WAF to block advanced zero-hour threats. By analyzing files in a CPU-emulation based sandbox, it can detect and block malware embedded deep inside files uploaded to your web site or web application. At a time when advanced threats like ransomware are causing havoc, BATP ensures defense in depth against malicious threats. The Barracuda Web Application Firewall fully integrates Active Directory or any other RADIUS or LDAP-compatible authentication services. Combined with the strong access control capabilities, administrators can provide granular control over which users or groups are able to access specific resources. For securing Kerberos-enabled environments, it can also perform authentication to the protected web application on behalf of the user, including single-sign-on to multiple Kerberos services. The Barracuda Web Application Firewall supports the SAML v2 protocol for authentication and web based single sign-on (SSO), which means that it can act as a SAML Service Provider (SP) to SAML-compliant Identity Providers (IdP), saving you from the complexities of implementing SAML on your web servers. This facilitates SSO between the cloud and on-premise web applications as well as interoperability with Azure AD which supports SAML 2.0. The Barracuda Web Application Firewall integrates with a number of two-factor authentication technologies including client certificates, SMS PASSCODES, and hardware tokens such as RSA SecurID to provide strong user authentication. Using client source addresses, organizations can control access to web resources. The Barracuda Web Application Firewall can control access based on GeoIP to limit access only to specified regions. It is also integrated with the Barracuda Reputational Database and can identify suspicious IP addresses, bots, TOR networks and other anonymous proxies that are often used by attackers to hide their identity and location. Once an IP address is identified as a risk, administrators have the ability to block, limit, throttle, or issue a CAPTCHA challenge before allowing access. Pre-built security templates and an intuitive web interface provide immediate security without the need for time-consuming tuning or learning how to use a new application. Included out of the box are common application templates including Exchange, SharePoint, Oracle Financials, PHP, and more. With the advent of cloud-based computing, data centers have become increasingly programmable and DevOps is now a key area of focus in network, compute and security tiers. 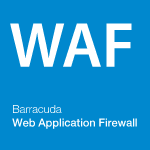 Barracuda Web Application Firewall comes with a REST API that enables you to configure and monitor the appliance programmatically. The functionality of the device is exposed in Representational State Transfer compliant interfaces which can be exercised via any programming language of your choice. REST API allows you to automate, reduce time-to-market and costs by leveraging economies of scale in a programmable environment. Managing application security policies across multiple units can quickly become an error-prone hassle. The Barracuda Web Application Firewall features security templates that provide the ability to define baseline security settings to use as a model for security policies. By using templates, you can quickly create security policies designed to safeguard a specific application, web-portal, platform, framework or parts thereof. Templates increase productivity, reduce manual errors and deployment time, and ensure policy compliance. Powerful graphical reporting provides immediate insight into compliance, threat activity, web traffic and regulatory compliance. More than 50 different pre-defined reports are available, which can be easily customized further, using numerous filters for attack types, traffic, time range, and more. Generated reports are interactive, with drill-down capability. Reports span PCI compliance, security, audit, web traffic and geo-location analytics. They can be generated on-demand, or scheduled for periodic delivery to multiple recipients over email or FTP. All client requests, administrator modifications, and firewall actions are logged. 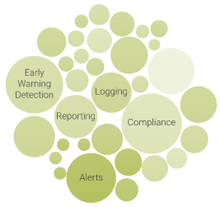 This provides a comprehensive audit log for compliance and security policy tuning. Data from the logs are used by the Web Application Firewall to build graphical reports on attacks, web traffic, compliance or a number of other analytical reports. Logs can also be exported to 3rd party analytics suite via Syslog or FTP. Scheduling alert notifications for risk monitoring and analysis is an important requirement for proactive security administrators. However, this can quickly become overwhelming with multiple security appliances in the data center. Without any correlation or consolidation, advanced persistent threat (APT) activity can go unnoticed. To overcome this, the Barracuda Web Application Firewall provides alert consolidation and correlation. Custom notifications can be defined using multiple elements like severity, attack type, application, threshold and frequency (for example, configuring thresholds for SQL Injection frequency on application X and also monitoring forceful browsing for the same application). This ensures that important threat activity does not get drowned in the noise, lowers risk profile and operational costs, and increases productivity. Alert notifications can also be customized for hardware components and individual system modules like Authentication, Admin Activity, SSL, etc. The attack definitions and signatures on the Barracuda Web Application Firewall are enhanced by an extensive network of more than 150,000 sensors deployed worldwide, which provide Barracuda Labs with data. The information originating from these sensors provide valuable data that is used by Barracuda Labs to create the current security definitions. These definitions are automatically updated and loaded as virtual patches to the Barracuda Web Application Firewall appliances in the field. These updates ensure the highest security posture for critical applications at all times and greatly reduces the time between vulnerability disclosure and repair vulnerabilities. Automatic updates allow administrators to immediately implement real-time security against new threats; they also provide time to the application development teams to exhaustively analyze the issues in the underlying application and fix vulnerabilities when necessary. Barracuda Web Application Firewalls can be clustered in active / passive or active / active pairs with failover to ensure instant recovery. Security configurations and deployments are automatically synchronized between the clusters, providing instant recovery from any outages. Barracuda Web Application Firewall supports load balancing of all types of applications. Load balancing ensures that subsequent requests from the same IP address will be routed to the same back-end server as the initial request. This guarantee of persistence requires an awareness of server health so subsequent requests are not routed to a server which is no longer responding. The Barracuda Web Application Firewall can monitor server health by tracking server responses to actual requests and marking the server as out-of-service when errors exceed a user configured threshold. In addition, the Barracuda Web Application Firewall can perform out-of-band health checks, requests created and sent to a server at configured time intervals to verify its health. When migrating data, applications, and/or workloads to the cloud, administrators still need to safely manage both corporate and customer information. In most cases, organizations are still subject to the privacy and compliance directives of their industry, whether HIPAA, SOX, PCI, or others. By integrating the proven application security and data loss prevention capabilities of Barracuda Web Application Firewall (WAF) with Microsoft Azure's native security features, administrators are in a superior position to deploy secure, reliable, and resilient cloud services in Azure while meeting any regulatory or compliance needs. The Barracuda Web Application Firewall provides proven application security and Data Loss Prevention for applications deployed on Amazon Web Services. AWS Security Competency certified Barracuda Web Application Firewall integrates with AWS Elastic Load Balancer, Cloud Formation Templates and more to support bootstrapped configuration and autoscaling. The Barracuda Web Application Firewall Vx is available in multiple editions that can handle up to 100 Mbps of traffic. For more capacity and performance, the edition 660 Vx can be easily expanded by licensing added CPU cores on the virtual-host cluster. Currently, Barracuda Virtual Appliances are supported on VMware ESX/ESXi 3.5 Update 2 and higher with a minimum of 512 Mb RAM (1 Gb recommended) and 40 Gb available hard disk space. For information regarding other hypervisors or virtual infrastructures (like VMware Server, CITRIX XenApp, Microsoft Hyper-V), please contact us. Download the Barracuda Web App Firewall Vx Series Data Sheet (PDF).